1.3 How to drink absinthe? Absinthe is an alcoholic beverage with bitter, aniseed taste and generally a light green color, which, when mixed with water, acquires a characteristic milky color. It was invented in Switzerland by Dr. Pierre Ordinaire and was used as a natural medicine. In 1797 the first distillery of absinthe was built in France by Henry-Louis Pernod. What made it very famous was the fact that, until the first half of the nineteenth century, it was used as medicine to reduce the fever of the soldiers. These became accustomed to their use and habitually drank it it their permits at home. With this he gained a notable fame to the extent that the French cafés dedicated a period of the day, called green hour, to the consumption of this drink that became the national drink of France. At the end of the nineteenth and beginning of the twentieth, it reached its maximum splendor in France because it was welcomed by the French bohemian who called it “the green fairy.” Many painters, writers, philosophers, etc. adopted it as a source of inspiration and fantasy (Baudelaire, Verlaine, Manet, Picasso, Degas, Hemingway etc.). For example, it is very famous the picture of Edgar Degas Absinthe Drinkers, in Orsay’s Museum. Paris. In recent times, its use by intellectuals has declined although there are many films or songs in which this drink is described. For example, in the film Alfie (2004), the female protagonist, Liz, offers Alfie the possibility of experiencing love under the effects of absinthe. The scene of the film shows conscientiously how to prepare the absinthe and the effects that this has on Alfie when he drinks it. Basically absinthe is composed of alcohol in a proportion generally from 60% to 75%, although there are homemade varieties that can reach up to almost 90 °. Inside this liquid a series of aromatic plants that provide its flavor are macerated. Fundamentally wormwood, anise and fennel, although other herbs such as mint, licorice, juniper, melissa, etc. can also enter. – Maceration with distillation: First maceration with the previous process and then the macerated liquid is distilled. Subsequently, water is added to give the product the proper graduation. Subsequently other components can be added or can not be added to vary the aroma, color, etc. – White or blue absinthe: It is one that is bottled directly after the previous process without adding anything else. It is the type of drink offered by the current Swiss varieties, where they are known as the Bleue. These are very clear drinks. – Spanish absinthe: The Spanish variety differs somewhat from the previous French variety in that it is more sweet, by the addition of anise and citrus aromas. 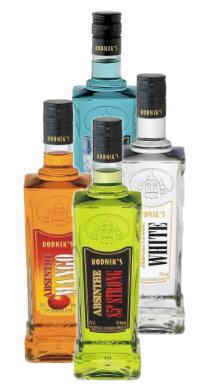 – Bohemian style absinthe: It is the one that is produced mainly in the Czech Republic. 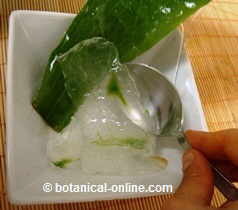 It is characterized because it does not have anise, or fennel or the typical traditional herbs of this drink. Its only resemblance to absinthe is its content in alcohol and wormwood. – Home absinthe: It is the one that it is realized mainly in Germany with homemade methods that allow adapting it to personal tastes. In Germany it is known as Hausgemacht (home-made). It was very famous during the prohibition years. It is still being sold as if it were a prohibited substance to infuse a halo of exoticism and prohibition that can increase its sales. A spoon with holes is placed over this cup. A lump of sugar is placed on this spoon. On the lump, water is poured in a proportion of 3 to 5 parts of water per 1 part of absinthe. The water melts the sugar and the absinthe in the bottom of the glass, so that a cloudy liquid of milky aspect known as louche is produced. Water allows to dilute the proportion of alcohol at the same time that it uncovers all the aromas of the plants used in its composition. Sugar manages to reduce the initial bitterness of this drink.